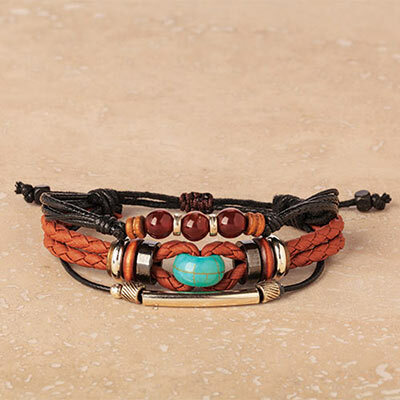 Proof that opposites attract, this Arizona Leather Bracelet weaves a spell in earthy hues. Three bands of genuine and faux leather are adorned with a bevy of wooden and metal beads in various tones topped by a faux turquoise bead. Pull cord closure. One size fits most.